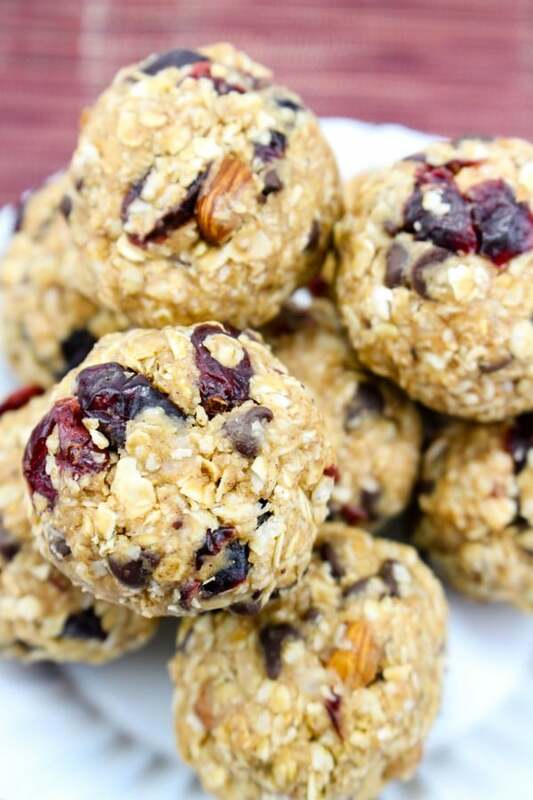 These Trail Mix No Bake Energy Bites are great guilt-free snacks that are convenient and tasty. 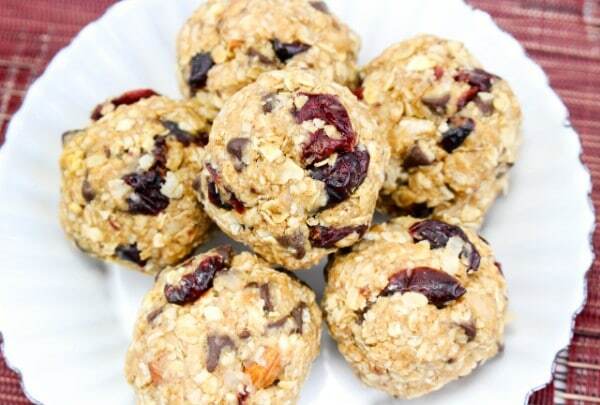 Skip the processed, packaged convenience snack foods and grab a handful of these instead! One of the hardest parts of sticking to a healthy eating plan is making good choices on-the-go. When you’re in a hurry and only have a few minutes for a quick snack, most of your choices are not ideal. If you try to stick to healthy options, you may grab a piece of fruit or some fresh veggies. Sadly, the carbs and sugars in those will only satisfy your appetite for a short time. An hour later, you’ll have burned through those calories and will either be hungry or losing steam. You need something with protein to sustain you for a few hours. The problem is, most protein bars are loaded with artificial ingredients that are actually bad for you. A few are okay. If you love protein bars, check out this list of the best and worst nutrition bars for women from Shape. Trail mix is usually my favorite choice, but it’s not always the most convenient. The wrapper can be noisy, which is a problem if I’m sneaking my snack in a large, quiet group. Plus, it can be messy. So, I took all the great flavor and nutrients of my favorite on-the-go snack and turned it into a super convenient, perfectly quiet, portable option. The result was these Trail Mix No Bake Energy Bites. I like to make up a big batch of these Trail Mix No Bake Energy Bites and store them in the freezer in snack bags. Then, I just toss one of the snack bags in my purse before I head out for the day and I don’t have to worry about being tempted by a bad snack choice later. 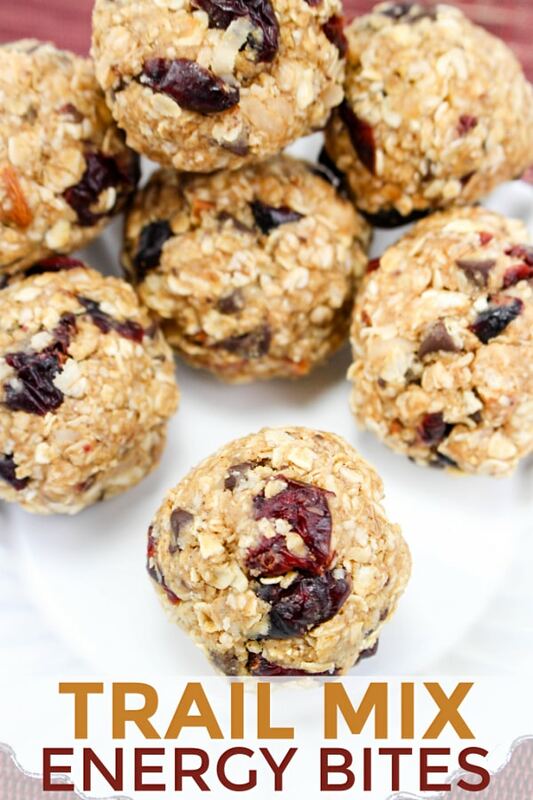 Best of all, these energy bites are made with simple ingredients right from your pantry. Did I mention that this recipe is easy? Hint: I prefer hanging out with friends and family so ALL of my recipes are easy. 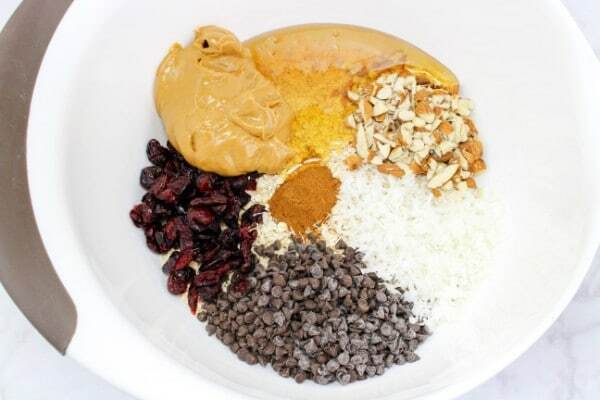 So, there’s no magic here, just dump all the ingredients in a large mixing bowl. Stir them all together until they’re well combined. 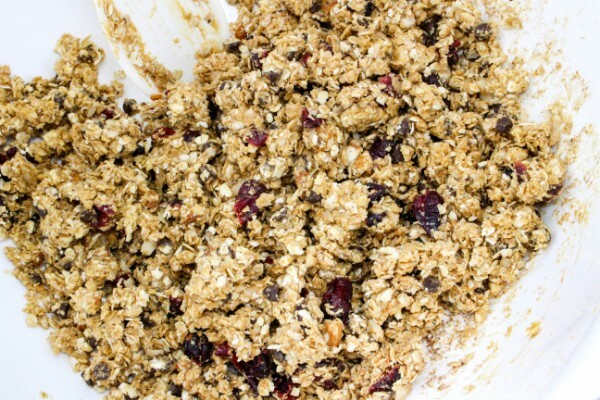 If your mixture seems to dry or crumbly, simply add a little more honey. Next, you just need to roll the dough into bite-sized balls. I made mine about an inch and a half in diameter. If you want to eat them right away, just pop them in the refrigerator for half an hour first to give them time to set. Otherwise, place them in an airtight container or divide into snack bags) and store them in the fridge or freezer. 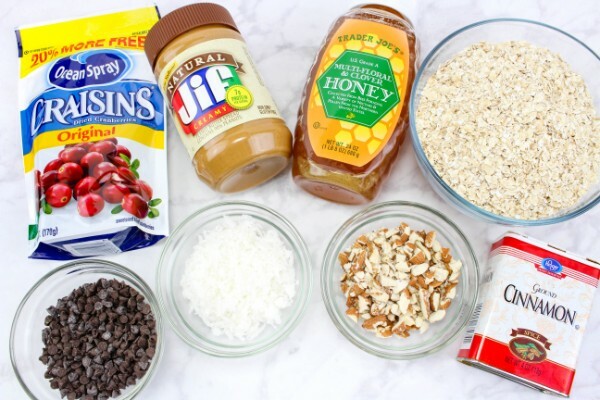 Ready to make your own Trail Mix No Bake Energy Bites? Here’s the recipe card with the exact measurements. 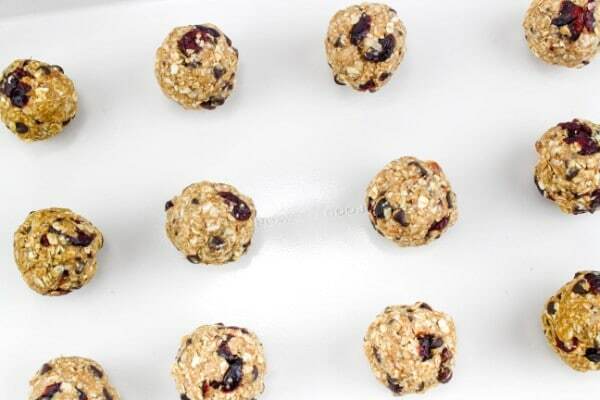 If you liked this recipe for Trail Mix No Bake Energy Bites, make sure to pin it so you can make it again later. Thank you for sharing these on FF. This time of year we all need more energy. 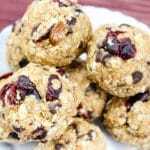 We will love these Energy Bites, as a matter of fact I could sure enjoy one right now! Hope you are enjoying your week and thanks so much for sharing with us at Full Plate Thursday!